You all know how much I love Indie Authors and their books. I'd say probably 85% to 90% of what I read is Indies. But now and then I venture into the realm of traditionally published authors and this is one of those times. 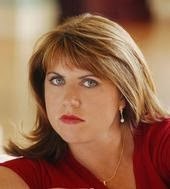 Lisa Gardner is, in my humble opinion, one of the best mystery/crime writers around and with every book she gets that much better. And one thing I learned about her when I finished this book - and that I absoluetly LOVE - is that she has an annual "Kill a Friend, Maim a Mate" contest for her fans where they can enter the name of a friend or loved one in the contest. The chosen name will become a character which will be killed off in one of Lisa's novels. How fun is that? I've previously read four of her books - one of which I only rated three stars and the other three got four stars. Pretty good marks in my opinion. 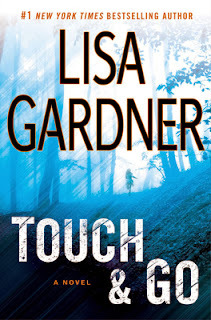 So Touch & Go is my fifth foray into Lisa Gardner's extensive body of work. I must say - I think this one gets five stars from me. It is the story of a family in crisis, for a variety of reasons - who in thie midst of their personal chaos just happen to be kidnapped. Unsure of their survival, this family implodes under the stress during captivity. It is written from the perspective of Libby - the wife/mother, and also from the perspective of two of the investigators desperately searching for the family before the worst case scenario happens. I felt Lisa did an excellent job of getting inside Libby's head and all the emotions she went through. I empathisized with her greatly. I will admit I figured out who the mastermind was long before the end. I can't say if that is because I read a lot of mysteries, or maybe even Lisa and I have the same twisted type of logic. I will say this - this book kept me up until 4:30 am in my desperate need to not put it down. It's a little bit pricey for a Kindle book - you can get the paperback cheaper. If you are interested in getting a copy for yourself - just click here to go to Amazon and look at all the book options - including that cheaper paperback. Who is your favorite crime/mystery author and what is your favorite of their books? - it is all touch and go. Sounds good though. I haven't read any of her books but that is a great contest. I have been all indie for some time but have been wanting to throw some big 6 in there lately for something different.